Occasionally onboard the Delta Queen, we have cruise guests who must use a magical spell to squeeze historical costumes into their luggage. Visiting from Oregon, Yvette and Jim Wenzel sure made a stir in the dining room when they paraded to their table. Yvette was decked out in a gorgeous burgundy hoop skirt dress that she even designed. Jim was duded up in striped pants, a frock coat, vest, string tie, and straw gambler’s hat. 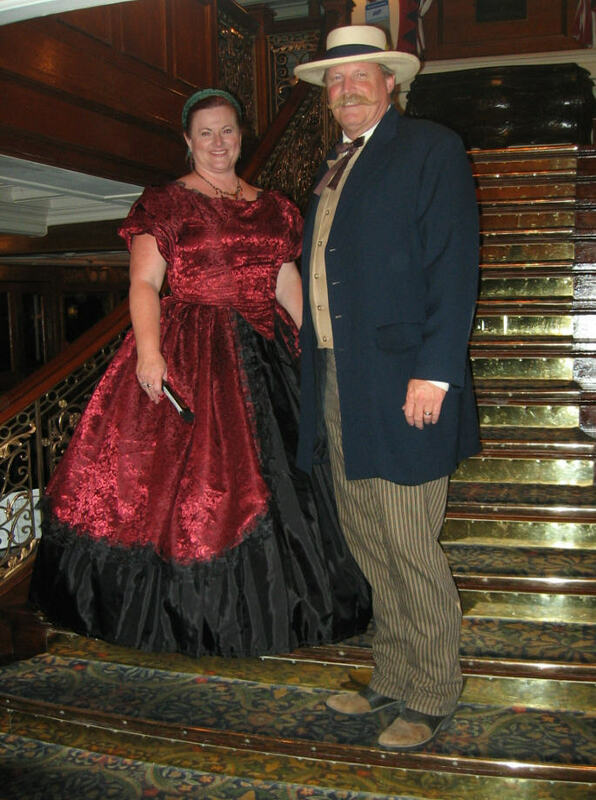 Folks like the Wenzels sure do add a splash of flair onboard the Delta Queen and their fashions certainly contribute to the festive air of keeping history alive from aboard an authentic steam-powered paddlewheeler.